As seen through the green construction netting on-site, large hollow steel pilings are now sitting in the cold weather waiting to be driven into the ground by two piling machines at 9 DeKalb Avenue. Designed by SHoP Architects and developed by JDS Development and the Chetrit Group, excavation and foundation work for the 1,066-foot-tall supertall is making steady headway in Downtown Brooklyn. 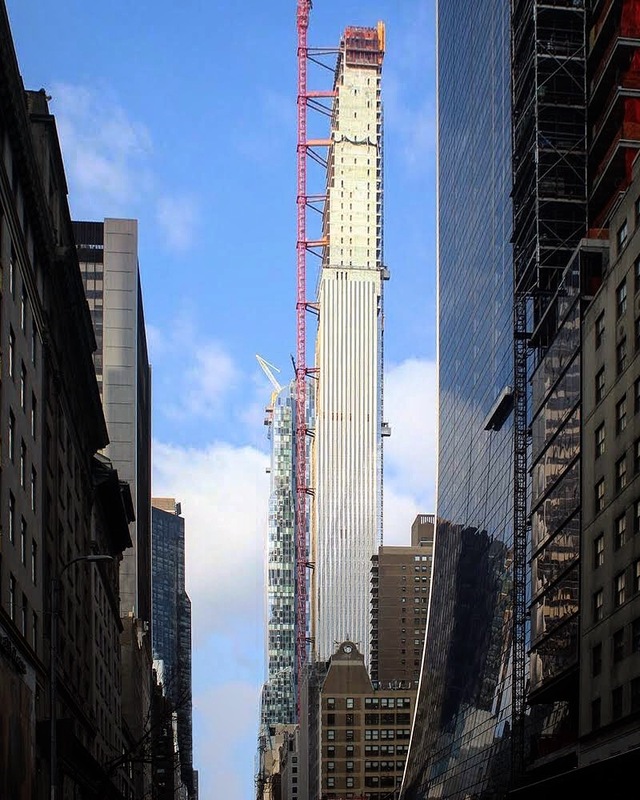 111 West 57th Street is nearing the upper section of its topmost residential and mechanical floors. With a height to width ratio of 24:1, the SHoP Architects-designed tower will soon become the most slender building in the world. It is the 2nd-tallest skyscraper under construction in New York City, and will soon climb to an 1,438-foot-high pinnacle between Sixth and Seventh Avenues. 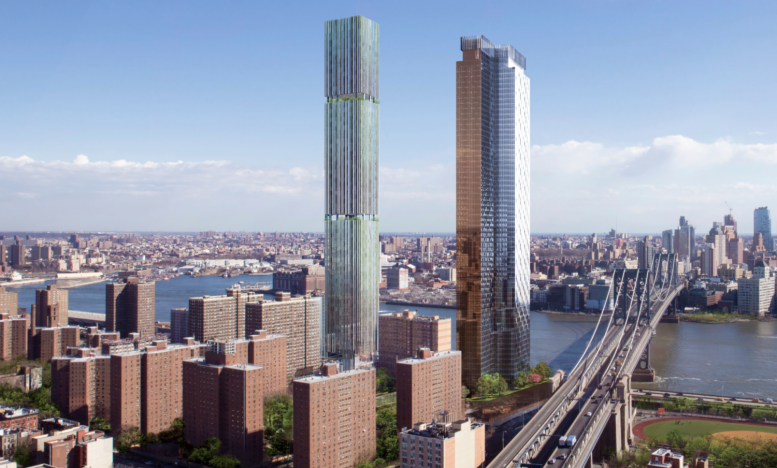 The supertall is being developed by JDS Development and Property Markets Group, and Douglas Elliman is in charge of sales and marketing for the 46 condominiums within. 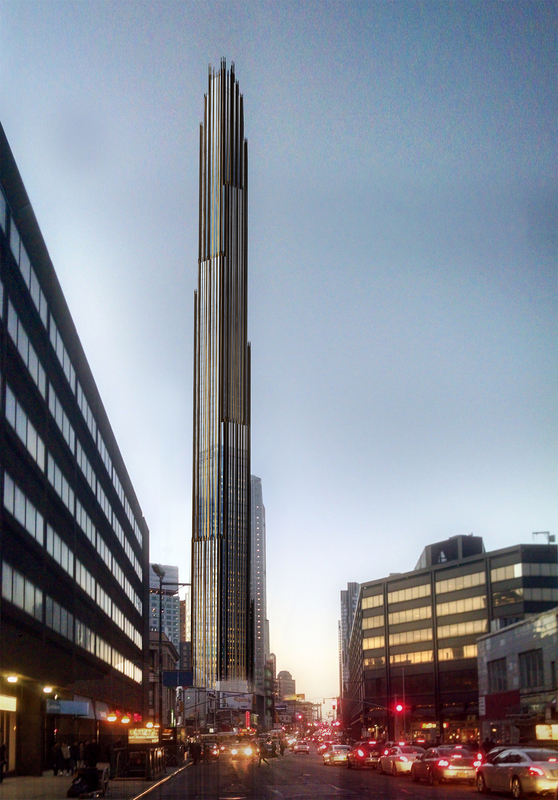 Major progress has been made for Brooklyn’s first supertall over the past several weeks. Excavation has continued apace, and more materials have also been delivered to 9 DeKalb Avenue as the year wraps up. The tower is the 6th-tallest building under construction in YIMBY’s end-of-year countdown, and will dramatically change the skyline of Brooklyn in the coming years. Designed by SHoP Architects and developed by JDS Development and the Chetrit Group, the 1,066-foot-tall residential and mixed-use project will house approximately 500 housing units atop its rejuvenation of an historic retail podium. Earlier this month, the City Planning Commission approved proposals for four new skyscrapers coming to the Two Bridges section of the Lower East Side. The tallest of the bunch will be 247 Cherry Street, adjacent to the site of Extell’s One Manhattan Square. 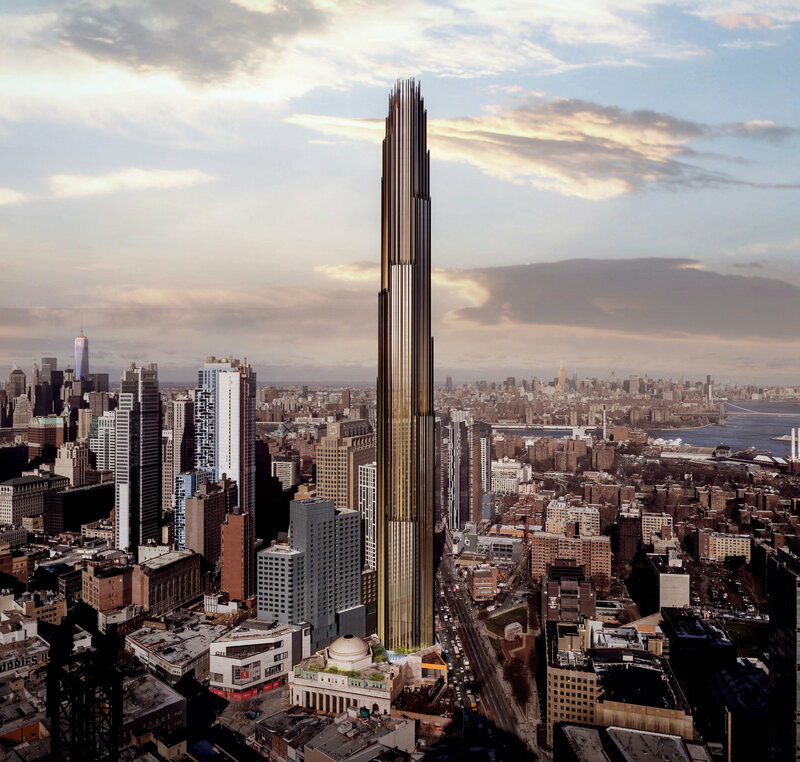 The upcoming 1,008-foot-tall residential skyscraper will be designed by SHoP Architects and developed by JDS Development, and is the 11th tallest tower underway in the Five Boroughs. This supertall is the only project on YIMBY’s end-of-year list where site work has not yet begun, although with City Planning approval now secured, that is hopefully a matter of imminency. Peering through the thick, green fence netting that surrounds the site of 9 DeKalb Avenue, one can now see the foundations for the imminently-1,066-foot-tall residential supertall making progress. Large hollow steel pilings crowd the northern perimeter of the construction site, waiting to be lodged into the ground with the giant piledriver being put to work by several construction workers spotted on site. The 73-story tower is being designed by SHoP Architects and developed by JDS Development and Chetrit Group.